Activechat Bot Builder is focused on enterprise customer support and e-commerce chatbots and voice agents for various industries. Visual conversation builder to create chatbots for automated customer support, marketing, and businesses. Multiple communication channels (Facebook Messenger, Telegram, Twilio, and Viber/WhatsApp/Alexa/Google Home coming soon). Lots of business and e-commerce integrations. Visual Chatbot Builder Reviews Recently Reviewed! Pros: Blown away by the features, supported platforms and cross-apps integration. Activechat works with Twilio, Telegram, Facebook Messenger now but more are coming in like Viber, Google Home, Alexa. Easy to create bot flow and sequence with its visual drag drop creator. As with any SaaS with comprehensive features, quite abit of learning curve but very manageable with their tutorials (dev and non-dev friendly) and pre-built templates to get the ball rolling, then change to your specifications and tweak. For advance AI botmakers, native integrations with wit.ai and dialogflow. Expect public API release and more feature updates as they're very active in development with a strong team of >5 devs working on this mean machine. Blown away. Cons: Cluttered dashboard, especially the bot flow diagram. Understandably is due to their growing building blocks but for users with a relatively smaller screen resolution (1366 x 768), a little awkward. Overall: Takes only a little while to get used to their workflow. One of the best chatbot builder, even among the matured ones. Hi Eve, thanks for reviewing us! I absolutely agree with your "cons", and we're already working with UX designer to improve the interface and overall user experience. Enjoy the platform and feel free to reach out for support if you have any issues and difficulties. Pros: One of the easiest visual builders which makes it easy to build the most complex chatbots. The founder is extremely helpful, organizing chabot webinars every week etc. Support is great, too. It also has a number of templates, covering bots built for shopify, woocommerce, livechat, restaurants and other templates which helped me understand how the different blocks come together to build a complex chabot. Voice conversation integration with alexa echo/google home is also coming up, along with web widgets if the existing twilio, telegram, facebook integrations are not enough already. Cons: The interface of most pages arent upto the mark. The software has a learning curve but can be overcome with training. Overall: Got this chatbot deal on appsumo, and played around with it. Though it makes building bots easy, right now it lacks many things like delegating bot access, facebook comments grow etc. Will look around till the software matures. Pros: It's quite a different interface than ManyChat, Chatfuel or Mobile Monkey (not sure about the others), but once I got used to it I liked the workflow and layout. The UI looks a little dated, but supposed to be updated soon along with a lot of other features. Excellent ecommerce integrations as well. 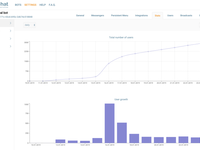 Cons: It doesn't have all of the growth tools yet, but assured those are coming soon. It's a fairly new service, so documentation is lacking, very basic for now but I've been able to figure out everything I need to do so far. There have been some bugs but also assured those are being resolved very soon...I'm sure it's growing pains from adding so many users so quickly. Overall: Overall I'm very happy with it and have recommended it to some people. I've built a basic bot and currently working on a more advanced rewards bot and so far I like it a lot. I'm looking forward to the upcoming improvements, but I think it will be my bot tool of choice. Pros: The visual builder is really powerful, I love how you can create different entry points. Some innovations like site tracking, the ref url options for advanced tracking. 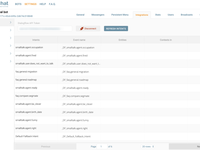 Overall: Great to have an overview of the whole flow, easy to navigate. I like it. Pros: The system is very flexible and it is really easy to incorporate AI functions through Dialogflow. The team is super responsive and they get hotfixes out fast if there are any issues. The team is also listening to users and suggestions for features. I have sent in several feature requests that made it to the roadmap. I am very excited about this and I am definitely in for the long run! Cons: The platform needs a better subscription/sequence system. This should be an upcoming feature though. So all in all I am super happy with my account. Overall: The visual chatbot builder is very good. it uses lego blocks that you connect to a flow. It is easy to use and very intuitive. It does take a bit of time to get used to, but the learning curve is not as steep as I feared. Overall: This is ongoing; once I am able to build this bot to my liking and start selling it, I will get the necessary feedback to provide. As of now, I am looking forward to Q2/Q3 of 2019 for the promised features. This save time and is more easy to setup. Pros: First, a shout-out to the developers and especially the founder for taking lead in such an awesome product with great support. I've been with them solely for creating funnels on facebook messenger bot but ActiveChat wow me with more channels like telegram and the ability to integrate NLP easily! Drag-drop interface for creating skills/sequences with functions/fields is also improving. Impressed! Cons: Sometimes the bot takes a little while to respond to the users, which can be upsetting but then again, the devs take ownership and responsibility by keeping us updated about these bugs and potential delays. Overall: I put my trust in them for bot-making. Pros: Active Chat has just about every feature you could possibly want in a chat bot baked in or to be released no later than March of 2019. The only function it's missing is somehow making the bot for you. It was built with building conversations rather than bots idea and with that the flow is a lot cleaner than you'd expect as well. Cons: Being new there are bugs here and there but every time I've reached out for support they've fixed it in less than a week which is really impressive! Overall: The visual builder is intuitive. Just watch a video or two on using the software and you'll more then understand how to use it. 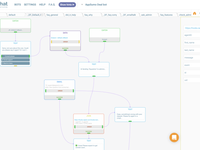 Pros: Visual flow builder helps anyone build complex bots with ease. I love the e-commerce integration modules so much. I can deploy my chat bots on Twilio, Telegram, and Facebook Messenger currenlty and more platforms are on their way. Cons: Has some learning curve, does not have website chat bots yet. The platform is young, there are some technical issues now and then, but the team behind is very responsive and feels like we are in good hands as they deploy fixes at an amazing speed. Overall: I feel that ActiveChat will become the Industry standard of chatbot building in no time. ActiveChat founder and the entire team is very responsive and they fix any issues reported quickly. Pros: I'm pretty new to chatbot development (worked with Manychat) but this tool is fantastic. I am easily able to create basic bots for my clients and get them up and running. The amount of functionality in the system is incredible. You can basically do anything with this builder from NLP to ecommerce bots. Love it! Cons: The interface at first seems a little 'old school' as far as the GUI but once I got used to it the uncluttered look is actually easy to work in. Having said that I know a fresh gui look is on the roadmap. Overall: I need a way to create lead gen chatbots for my clients and run them on their websites. This tool made that possibly quite easily. Pros: This software is amazing, full of great features. there are some good templates to get started, Shopify and Woocommerce Integration (accepting payment, invoice generation), NLP support and easy integration with Dialogflow, Zapier and Twilio + few more integration available and a lot many on the roadmap. Cons: can't test the bot without connecting to the facebook pages. Overall: The founder of Activechat, is really a great guy who personally involved and communicated in ActiveChat FB Group. His development and support team is really great. Pros: First, ive to give credits to the development team for working hard. Bugs fixing, features enhancement, UI improvements and so much more. 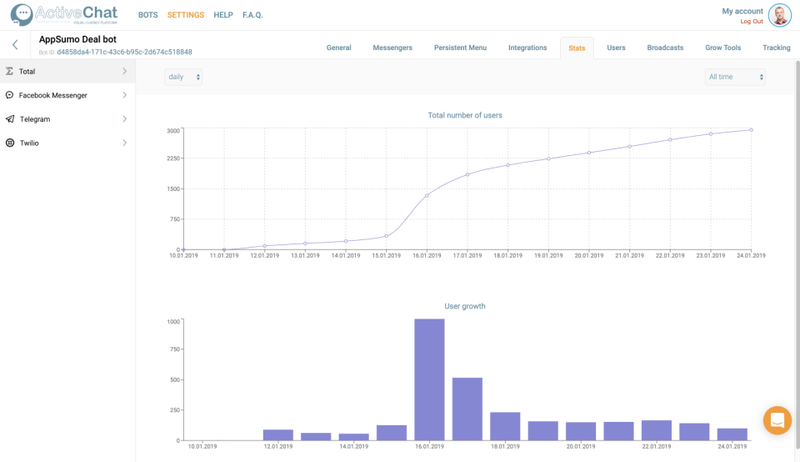 We've used manychat, funneldash, segmate, motion ai and others and personally we felt Activechat beat them all in terms of pro-activeness, features (standalone bot, NLP integration, custom smtp, woocommerce integration, etc). Cons: We really love to use the bot for calendar/appointment booking. Pls add this as a template. This will truly be a game changer. Pros: I love this bot builder application and currently working on a bot for my client (hotel business). And best part is, everything is based on drag, drop and edit (no need to know coding). 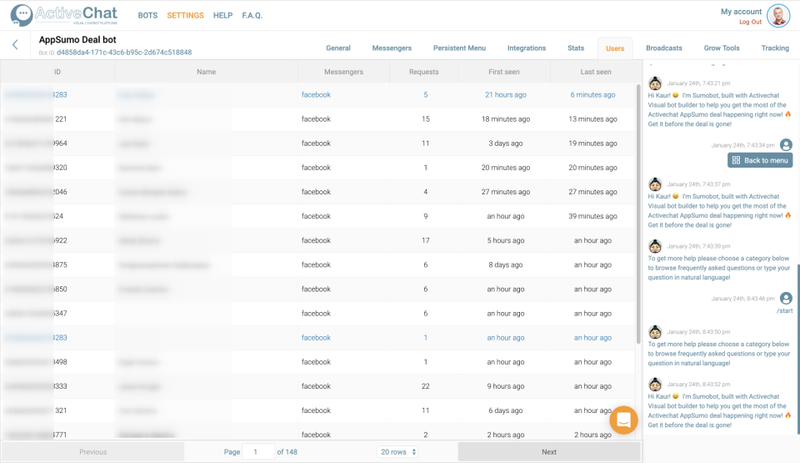 From this dashboard, you can even send text messages through twillo platform. Connect bot with facebook page on just a single click away. Must try before going with any other builder. Cons: Nothing to say now because everything is streamline and support awesomeness credit goes to Andrew. From a Chatbot lover to Another! Pros: the functions are the utmost thing that i like regarding Activechat and by saying that, i mean a lot of functions can be done within Activechat. No longer depends on 3rd party integration. If you know what im trying to say. Cons: The learning curve is quite steep. Said that, after you master it with a lot of training, you will get hold of it. Believe me! 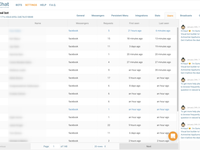 Overall: i really enjoyed my chabotting with Activechat and since then, i managed to build a lot of chatbots with ease and with happyness..hahaha..
Pros: When I saw the video presentation at appsumo, I just grab it because Activechat solved my problem. Now I can use ONLY one platform to build FB and Telegram bot. Not only that, the basic integration feature is good enough for me to create spider flow chatbot. The ActiveChat team provide good support. 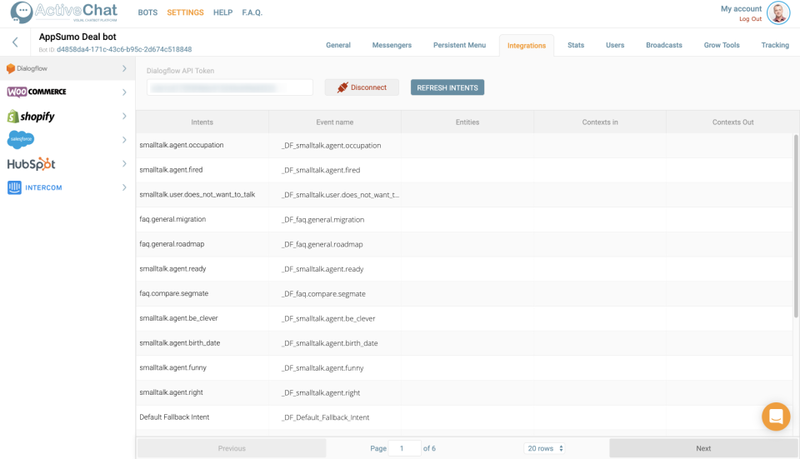 Cons: ActiveChat need provide a theme selection since the platform interface look to evergreen. Overall: Nothing I can say here except one , they create a briliant Chatbot Builder. Cons: Can be quite overwhelming on first glance. Would love to see the option to migrate templates that have been used in other chatbot setups like manychat. Super easy to use chat bot! Pros: Great price, NLP, JSON, SHOPPING CART with WOOCOMMERCE, TWILIO, TELEGRAM and so much more! Plus there is going to be so much more added. Cons: Can't use different size images. So for now its only 1 option of size image. But this is due to Facebook limitations. Overall: The way you can build bots is so easy I was surprised. To have my bot working with a good working version took me only 20 minutes. And this is my first bot I have ever had. Pros: The visual bot builder makes building complicated bots really easy without loosing the greater picture. And with all the functions that are offered you are not limited by what the bot can do. And things you currently can't do are worked on by the developers immediately to make the product better. It is amazing how fast they pump out great updates! Cons: At first I did not like the UI very much as it is very basic. However after playing around with it for a little while you get the hang of it and working on the platform is very easy. Also, there will be a UI update in the coming weeks according to the founder. Overall: Building chatbots that answer consumer questions in a dialog without me having to answer the same questions over and over again personally. Pros: It's system is more advanced comparing with Manychat or Chatfuel (both are like toys if you try Activechat). It has autorresponders of course, but also suitable for flexible AI conversations. Is like coding an advanced chatbot without needing to be a coder. The team is very responsive and their founder Andrii has a clear vision about this project. Cons: You have to learn more stuff than in other simpler chatbot platforms but is logical. If you want to do something better it will not be so easy. But I have to say that they have a very nice academy with tutorials, live sessions and the support is always helping so this is not a real problem. Overall: Creating advanced chatbots and AI Agents with ease is what we are doing using ActiveChat. Pros: I already tried Manychat and Chatfuel but I became more interested in chatbots when I heard about ActiveChat. Their support are really amazing. They always respond and attend to your querries. I also like the fact that I can easily implement NLP using this platform. Pros: activechat combines the structure from chatfuel and the flow from manychat, into a more comprehensive platform for bot designers. Cons: there is a bit of a learning curve if you are used to the other platforms. Overall: the staff are friendly and helpful... often replying within hours rather than days. the integrations that are in the pipeline are set to push it to a higher level. Pros: It is great technology for building chatbots. I especially like the way you use building blocks which make chatbot creation quite a game after a while. Cons: Nothing particularly. I am expecting the upcoming features in the next weeks, so that i can see the full potential of the platform. Pros: If you are using activechat, It's very easy to start because there are so many available template there including woocommerce integration one. I really like this software, it saved a lot of my time on figure out with woocommerce integration. It can add products to cart while chatting and even place an order by chatting with my bot. 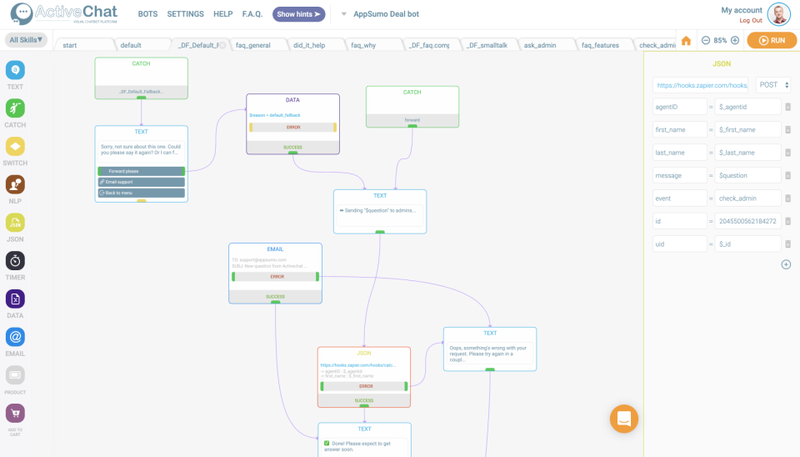 Cons: It's currently only support building bot with the flowchart diagram based and drag and drop. I'm not very familiar with flowchart diagram might spent a little time on learning it. Overall: The overall experience with this product is awesome! Very easy to start and very like it! Pros: The personal interaction with the team is probably the biggest draw for me. ActiveChat is one of the new players in the bot field, but they're clearly listening and responding to their early adopters via e-mail, the official Facebook Group and probably other channels as well. I am confident they will execute everything on their roadmap within a reasonable time frame, allowing us to create every type of bot we can imagine. Cons: There's room for improvement in the UI as connecting blocks can be tricky. I'd also like the option to have tooltips for every design element. Cons: If I I had to say something it would be the ease of building something needs some work! Just a bit! Overall: Stay connected to Customers. They love our services like more. Cons: Definitely learning curve. Lots of things to learn. Overall: So far so good. Lots to learn. Pros: It's flexibility. There is more than one way to do things using ActiveChat. Cons: It refresh in the middle of doing something. When it refreshed, changes disappeared. One of the best tools on the market today! Pros: Customer support is outstanding! Fantastic team. Tool has great integrations, user friendly, and robust roadmap. Cons: User Interface can be improved. Few more Templates will help as well. Pros: I have beening using other apps like MobileMonkey and Zoconvert but this goes to first place now. It can easily create a chatbot with its clean interface. Above all, its capacity is very strong. It has many advanced features like NLP and can create bot for viber and Twilio. Cons: None so far. Waiting for broadcasting and comment guard which are soon to be released. Overall: I am starting to fall in love with this app. I am going to build a movie and astrology chatbot with this app. Cons: I don't like the learning curve. it does take time to figure out the "lingo" to use when building your chatbot and some of the verbiage isn't so obvious. Hi Ben, thanks for taking your time to review us! Yep, I agree that Activechat is quite complex product and we're already working on UX/UI improvements and providing more manuals and videos. Pros: The platform has very easy builder. once you understand what the different "lego" blocks do it's easy to create a conversational chatbot. Cons: somewhat slow support on the site, but excellent support on facebook group. Cons: The interface is not beginner friendly and I find that it's still a bit buggy but seeing the founder being really engaged with customers on their facebook group makes me trust them that they will deliver the updates in their roadmap. Overall: It's a good solution to automate your facebook chat support. Pros: Okay, building a chatbot isn't necessarily easy all the time, but the people at Activechat are making such a feature-rich chatbot and making the process as simple as they can. Cons: The UI falls a bit flat, and some of the UX is a bit confusing to navigate as well. But these are easily changable things. Overall: I've had a great experience with this app. Support is great and quick, and I've made some really fun chatbots really easily. Pros: Ease of use, great integration with e-commerce platforms and an awesome founder. Overall: So far it's been great. The platform shows some issues due to the scale but they are fixing them one by one. Hopefully the issues will be resolved soon. Cons: - Not a con but for a new comer, it will take some time to grasp the workflow but the possibilities are huge. Overall: I highly recommend adding it to any online store and I would even install on my coming blog once I teach it some good skills :) This will a huge time saver and website companion to improve users' experience. Cons: It's a little hard to understand how to use at first. So the learning curve is bit steep. Overall: I love the concept of separating different functionality of the bot info what they call skills. It makes it easiest to create a complex bot and easier to keep up with the complexity of it. Pros: - Highly customizable and easy to use at the same time. - Short learning curve, everything is drag and drop and very visual. - Support team is quick to address my issues, and open to suggestions. Cons: - There were a few bugs at the beginning, however the developers were quick to rectify them. Pros: The amount of control you have. I've used other builders which seem quite limited to Activechat. They seem to have a rigid enough flow for conversations whereas Activechats core setup is built on flexibility. Cons: I found it very difficult to get my head around at first. The other tools I've used have a logical step by step approach but Activechat seemed very complex. I now understand why! And this have now become one of the best things I like about it. Overall: Easy to get going with the templates provided. Once you understand the terminology setting up a new bot is easy. Currently using for my own business but looking at creating agency to produce bots for clients. Pros: Super ease of use and configured Features. And of course, tremendous support team. Cons: A few, but hey baby can't run without walk first.. Overall: I can cut most of my time figuring what type of external intergration needed to setup my bot. It already there for me. Pros: The features, the flexibility, the customer support. The way the developers map out the process and the potential business use of chatbots. Cons: As of now, the UX is not the best. And it can be buggy. Pros: I've been using ActiveChat for building a really basic chatbot with some quirks. I've been blown away by the fact that I got so much more than I expected! With ActiveChat I've been able to set up complex interactions with a visual style that was so easy to understand I've literally put a couple of hours to set it up for good! Cons: I'm waiting for the livechat "human" takeover, sometimes you just need to intervene where users need your help, once we get this feature it's going to be perfect!